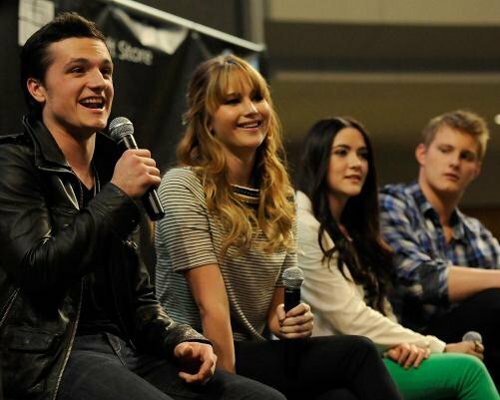 Hunger Games Cast in Minneapolis. . Wallpaper and background images in the josh hutcherson club tagged: josh hutcherson the hunger games interview. This josh hutcherson photo contains setelan jas untuk bekerja and setelan bisnis. There might also be konser.